Kindrat is an educator and research scientist from Montreal. She performs research on mathematics instruction, as well as visual depth perception at NASA’s Johnson Space Centre in Houston, Texas, and on the International Space Station. 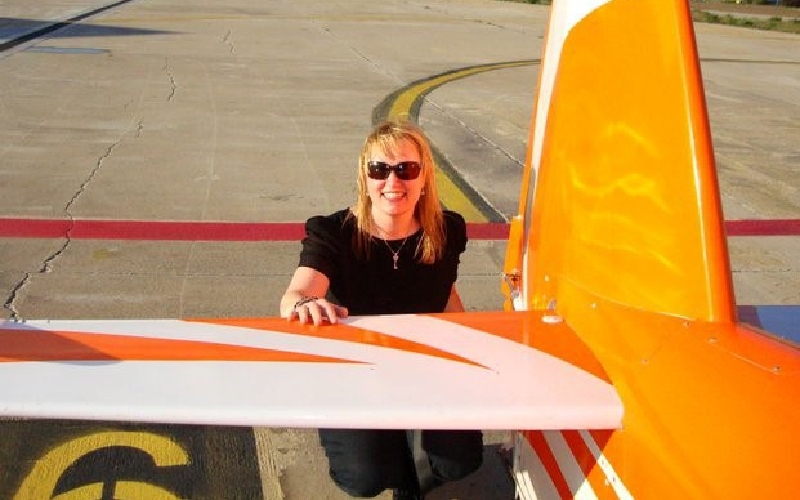 She is a private pilot, and, along with her teaching duties in Montreal, Kindrat has been a member of the teaching faculty at NASA’s High School Aerospace Scholar Program. Kindrat has also has served as co-chair at the International Astronautical Congress in the Human Space Endeavours Virtual Forum held in Naples, Italy, and in Cape Town, South Africa. She has provided input as an educational consultant for the Space Advisory Board roundtable on Canada’s future in space for the Canadian Space Agency. A favourite story on my journey, by Alexandra Kindrat: One never knows where life’s journey will lead, or which past experiences will open doors to incredible future opportunities. At 17 years of age, when I earned my private pilot’s license, I never expected to be conducting research at NASA’s Johnson Space Centre in Houston, nor have the opportunity to collaborate with astronauts and space physiologists in conducting research on the International Space Station, or have my space research presented at international conferences. After completing my Master’s degree in Neurology and Neurosurgery at McGill University’s Faculty of Medicine and further obtaining my teaching license, I was awarded a scholarship to study at the International Space University in Strasbourg, France. As a result of having a background in health and medical sciences, as well as aviation, I was asked to join a team of researchers that would conduct research on the International Space Station. This was certainly an extraordinary experience for me. Under the leadership of space physiologist Dr. Gilles Clement and Canadian astronaut Dr. Robert Thirsk, our research team conceived and designed experiments aimed to investigate depth perception in astronauts during and after spaceflight by studying their sensitivity to reversible perspective figures, wherein two-dimensional images could elicit two possible depth representations. In simpler terms, our study aimed to investigate if the reversal between perceptions of a given image was faster or slower in a micro-gravity environment compared to on Earth. After its conception, our experiment was entered in a contest entitled The Aerobatics Zero-Gravity Challenge, which would allow our team to fly our experiment on a parabolic flight, prior to being conducted on the International Space Station. Our research experiment won and our team travelled to Barcelona, Spain, to conduct our experiment on a parabolic flight. The following year, after finalizing our research experiment, I had the opportunity to present our research proposal to astronauts at NASA’s Johnson Space Center. Six astronauts agreed to participate in our research experiment, and they were tested over four sessions during their six-month mission aboard the International Space Station. They were then tested again after returning to Earth. The results obtained revealed that depth perception is altered in space compared to on Earth. On Earth, participants reported seeing one percept of the reversible figure 70 per cent of the time, whereas during spaceflight each percept was visible for equal amounts of time. Collaborating on this research was certainly an incredible and wonderful experience for me. Our research was presented at conferences in Belgium, Germany, South Africa, The Netherlands and Italy. As an educator, I refer to this experience often when speaking with my students. I encourage them to continue setting goals for themselves. One never knows where past experiences may lead. If one continues to work hard, opportunities will always present themselves.